Qutub Minar is the tallest minaret in the world which is made up of bricks. The minaret is a part of Qutab Complex, which is a UNESCO’s World Heritage Site in the Mehrauli region of Delhi. 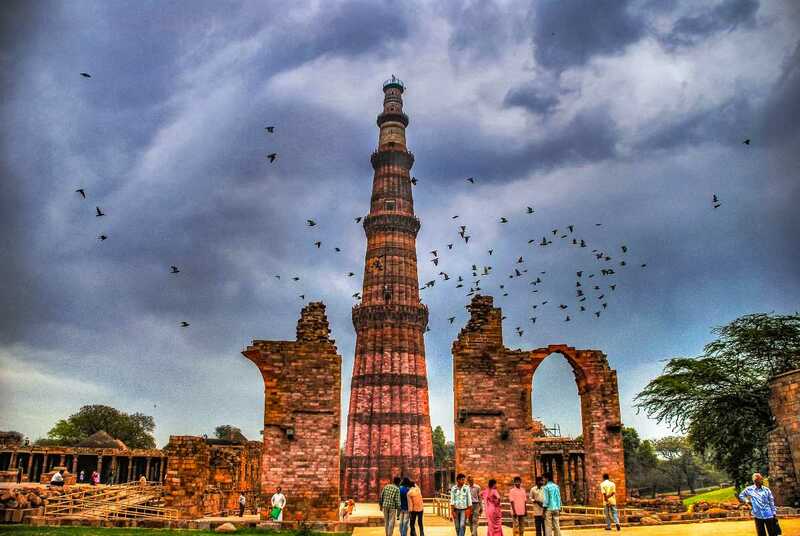 The Qutub Minar is located in Delhi which is also included in Golden Triangle Tour. The most popular Indian tour circuit includes Delhi, Agra, and Jaipur the gems of India. The Capital city Delhi holds three popular UNESCO’ sites such as Red Fort, Humayun’s Tomb, and Qutub Minar. The monument is 73 meter (239. 5 feet) tall tower of five storeys with a 14. 3 meters (47 feet) base diameter, reducing to 2.7 meters (9 feet) at the top of the peak. The structure beautifully contains a spiral staircase of 379 steps. 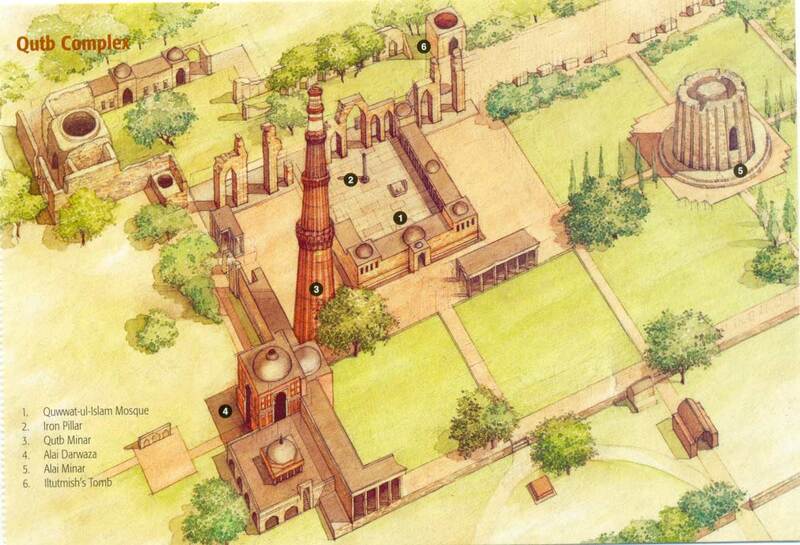 In the late 1192 century, Qutub-Ud-Din-Aibak was the founder of the Delhi Sultanate started its constructions. Later the architecture was continued by the ancestors of Qutub-Ud-Din-Aibak. The minar is beautifully surrounded by several historically significant monuments of the Qutub Complex which includes Quwat-ul-Islam Mosque. The mosque was built at the same time during the ruler of Delhi Sultanate which is a much older Iron Pillar of Delhi. In the late 1369 century, the top storey of Qutub Minar was damaged by the lighting and later it was reconstructed by the Firuz Shah Tughlaq. He added one more storey to the Minar’s structure. After this in the late 1505 century, an earthquake damaged the structure of Qutub Minar and it was repaired by the Sikandar Lodhi. Afghanistan’s Minaret of Jam is a tower style was adapted from local artistic conventions by the incorporation of “looped bells, garlands, and lotus borders into the carvings”. Endless inscriptions in Parso-Arabic and Nagari Characters in different sections of the Qutub Minar reveal the history of its astonishing construction. Later the restoration and repairs were made by the Firoz Shah Tughlaq and Sikandar Lodhi. The Qutub Complex is constructed on the ruins of the Lal Kot Fort and once it shelters 27 ancient Hindu and Jain Temples. these were destroyed by the but some of its ruins can still seem in the surrounding of Qutub Complex. 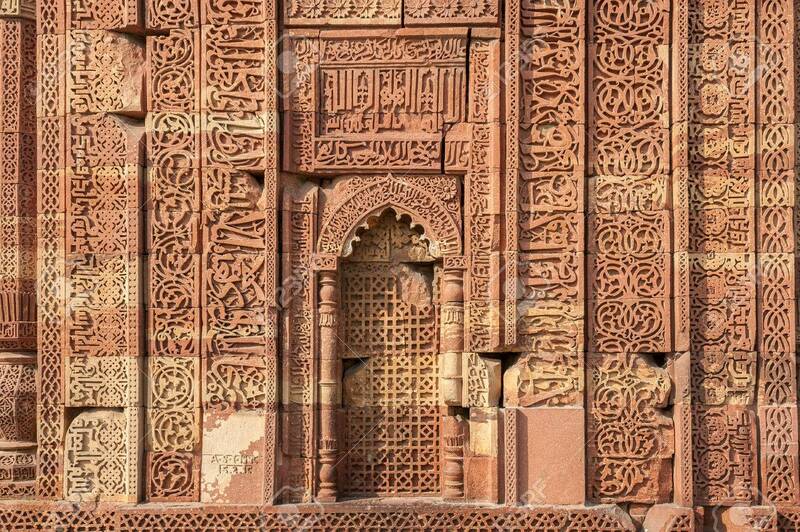 The structure was built of stunning latticed stone screens which is the finest example of Islamic Architecture. It includes the Qutub Mosques, the Tomb of Illtutmish ( the second sultan of Delhi ), and the stunning iron pillar. The Qutub Complex holds the popular Qutub Festival every year in October. The festival lasts for 3 days which showcases the Arts of India with the spectacular backdrop of this ancient monument which highlights the glorified culture of India. To witness the Islamic Architecture of Qutub Minar you can explore Best Golden Triangle Tour. India in My Mind, best Tour operator in India offers a complete range of golden triangle tour packages along with Car rental in India For Delhi Agra Jaipur Tour Packages. We deliver you with escorted tours India golden triangle for guided golden triangle India holidays. Avail great deals on golden triangle India tour.